Welcome to my newest report as Deputy Grand Master. We've seen 42 Cluster of Fire awards the past week. STO Pimp the Fleets v6.0 July results were announced the past week. Congratulations to the medal grabbers! Details as always in the DGM comp section. Clan Drakonan comps July results were announced in the latest CON report today. The medals were allready approved and added to the awards section of this report. For me, one of the funniest parts of the Dark Brotherhood in the past have been competitions. Meeting other DB members on a friendly competition for medals and titles has always been a big part of the action here. Now I see that there is a quiet interesting competition, created and run by one of our BTL, that does get little to no response. It's the "The Gran Nagus Competition" run by GRD Earnim Brannet. All you have to do to participate is play STO, get to one of our 2 fleet colonies (either FED or KDF one, depending on your fleet preference), play some of the mini games you have to play to earn Ore, Luxury Goods or Batteries for the colony, make a screenshot of the result of the mini game, and send the screenshot(s) to GRD Earnim Brannet. That's it. It's really THAT easy. If you have questions, issues, what ever, that might prevent you from participating in this competition, feel free to contact GRD Earnim Brannet or myself with your questions. I'm sure we can get you started here, if you'd like to participate. The MAA is running 3 weekly DB wide comps for JK/JA and EA PvP. Details can be found in the comps section. You need to be in the winning Team of a PvP match and be the best DB pilot of your team. - among the Top 3 placed players according to your score in matches with 6 or more players in each team. In cases where there are more than one player with the same score, the placements among the Top 2 or Top 3 will be determined as in sports events. A, B, C, D and E are members of the winning team in a PvP match. A has a score of 1,000, B and C both have a score of 900, D has 850 and E 800. This means that A is on first place, B and C share place 2, D is on place 4 and E on place 5 for his team. If A, B or C were all DB members, only A might get a CoF for this match. If only one of the three was a DB member, he was eligible for a CoF, no matter if A, B or C.
If there was an additional player F on that team with a score of 1,000, just like A, the situation would be as follows, A and F would share the first place, B and C would share the third place, D would be on fifth place and E would end up being on sixth place. If A, B, C and F would be DB members, only A and F would be eligible for a CoF. If only B and C would be DB members, those were both eligible for a CoF, too. If only one of A, B, C and F was a DB member, he would be eligible for a CoF. Everyone that wants to be rewarded with a CoF for a PvP match needs to submit his screenshots for his CoF eligible matches to me and cc the P:GM, DSP Pellaeon.We'll handle the CoF rewarding and will keep track of the handed out CoF for competitions and statistic purposes. It might be wise to cc your CON and your BTL in these submissions, so they'll be aware of your activities. Remember to send your screens in time (no later than a week after the match) and to submit only CoF eligible screens! In discussions with the GM in the past he mentioned more than once that submitting ineligible screens might be regarded as cheating and punished accordingly. Every month I will calculate the donations every DB member did to the EH ingame fleets in STO. With those donation points I will built up rankinglists for each fleet section and an overall rankinglist for each fleet. Awards will be Cr-E for first, Cr-T for second and Cr-Q for third in each section, Cr-A for first, Cr-R for second and Cr-E for third overall in each fleet. At the end of the year, based on the amount of donations, there will be an annual rankinglist for each section and one for each fleet. Annual awards for each section will be Cr-A/Cr-S/Cr-E for 1st/2nd/3rd, for the winners in each fleet Cr-D/Cr-R/Cr-A for 1st/2nd/3rd. To better compare the monthly donations to both fleets, the participants will earn overall points for placement in the section ranking lists, 4 points for first, 3 points for second, 2 points for third and 1 point for all other participants in that section. These overall points will be summed up for each member and a ranking list based on these will be used to crown the overall winner for the month. First place in that ranking list will receive the prestigious Cr-D, second a Cr-R, third a Cr-A. These donation points will be summed up and put into a rankinglist at the end of the year. The annual winner in this rankinglist will receive a Gold Nova, the second placed a Silver Nova and third a Bronze Nova. Awards: At stake is a Cr-A for the winning battleteam’s participants, a Cr-S for second place and a Cr-E for third. On a once a week basis, battleteam leaders coordinate with the MAA, P:MAA and CON for a weekly multiplayer battle in Jedi Outcast/Jedi Academy. Battleteam Leaders need to have at a minimum two players (which may include the BTL) to participate. Matches will be team deathmatch and the highest rated battleteam gets the win. Awards: Simply put, the top killer gets a Cr-D, second a Cr-R and third a Cr-A. On a once a week basis, the entire group coordinates with the MAA, P:MAA and CON for a weekly FFA battle in Jedi Outcast/Jedi Academy. On a weekly basis, the entire group coordinates with the MAA, P:MAA and CON for a weekly rotating battle in Empire At War. Teams or 1v1 rotation will be determined based on attendance. For the highest score accumulation (total sum of the three minigames together) every two months: Cr-A / S / E for 1st / 2nd / 3rd on that front. 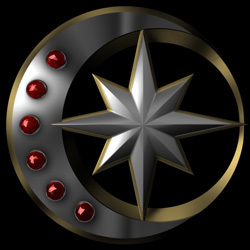 In the Game Star Trek Online, play the followings minigames: - Radiation Scan minigame - Omega Stabilization minigame - Ore Extraction minigame Send us a screenshot with the maximun score obtained form each one of these minigames. The competition will be every two weeks (with its respective award), with a general award of accumulated total every two months. Awards: Monthly Part: 1st place Crescent with Amethyst Star 2nd place Crescent with Sapphire Star 3rd place Crescent with Emerald Star The winner will be awarded additional with a Kaiburr Star. The Kaibur Star can be achieved only 3 times in a row. 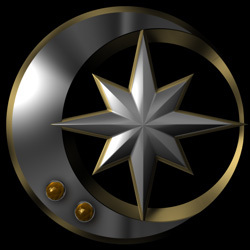 Awards: Yearly Part: 1st place Crescent with Diamond Star 2nd place Crescent with Ruby Star 3rd place Crescent with Amethyst Star The overall winner of the year will be awarded additional with a Silver Nova, the second will get a Bronze Nova. Awards: Monthly Part: 1st place Crescent with Amethyst Star 2nd place Crescent with Sapphire Star 3rd place Crescent with Emerald Star The winner will be awarded additional with a Kaiburr Star. The Kaiburr Star can be achieved only 3 times in a row. Awards: Yearly Part: 1st place Crescent with Diamond Star 2nd place Crescent with Ruby Star 3rd place Crescent with Amethyst Star The overall winner of the year will be awarded additional with a Silver Nova, the second will be awarded a Bronze Nova.